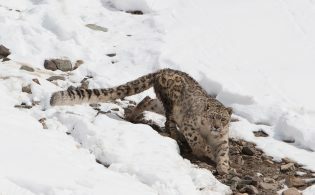 Assistant Editor’s Note: The following article is an Op-Ed guest post from Serengeti Watch, an organization that the ATTA has supported via AdventureTravelNews in the past, as we agree that this is a sustainability issue of key importance. 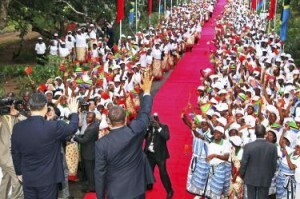 A spokesman for the Chinese government said the new president considers Tanzania a top priority. As the illicit blood ivory trade to China clearly illustrates, massive new Chinese investment does not bode well for Africa’s wildlife. China is intent on extracting as many resources from Africa as it can. And it doesn’t attach strings to protect natural areas as Western donors often do. The Serengeti, it may turn out, is simply in the way. In Tanzania this week, China’s president will inaugurate the construction of a new sea port at Bagamoyo. Though small, the port reflects China’s interest in shipping resources from deep inside Africa. China has had a long relationship with Tanzania, which provides an ideal outlet for neighboring landlocked countries. 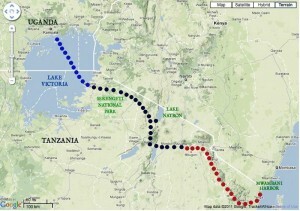 As we have reported, big plans for transport corridors throughout East Africa have been thrown about for years. But now these are building momentum and coming off drawing boards. A united and vocal tourism industry offers perhaps the best hope of protecting and preserving the Serengeti and East Africa’s other natural treasures from short-sighted and ill-advised development schemes. Tour operators and other travel providers can get involved in the battle to protect the Serengeti by joining Friends of Serengeti, the travel industry arm of Serengeti Watch, today. To learn more visit their website or contact Matt Kareus at [email protected]. Adventure Travel Trade Association members will receive $100 of the annual membership fee if they join before April 30th, 2013. We’re in the top 3% of US nonprofit organizations!